As part of Royal Caribbean's President's Cruise on Harmony of the Seas, Royal Caribbean International CEO Michael Bayley held a question and answer session with cruisers to address questions and concerns. In the nearly two hour event, a number of intriguing changes were announced, along with updates to topics of interest to many cruisers. Here are the big tidbits of information from the session. Quantum 5 coming to USA & Europe? Michael Bayley started off the session with guests by giving an overview of where Royal Caribbean is today, and went over some of the new ships joining the fleet. He mentioned the fifth Quantum Class ship and indicated there is a possibility that ship will sail from the United States and Europe. The new pier that is being added to CocoCay has suffered a few construction delays, but Michael Bayley confirmed the pier will be complete, "by the end of December". Bayley estimates out of all the sailings to CocoCay, about 10 or 11% would be missed due to unfavorable tendering condtions. With the new pier, he believes the missed calls will drop to about 2%. Michael Bayley confirmed Royal Caribbean is actively working towards improving the pizza on its ships. A new approach to their pizza has seen a six point increase in guest satisfaction, thanks to the cruise line's better crust, cheese, sauce and toppings. Bayley said the pizza rating is hovering around 92% guest satisfaction, but he wants to see it climb to at least 95%. Moreover, the next target for improving the food onboard is to work on better desserts. He hopes to roll out the desserts to the rest of the fleet in the coming months. One cruiser asked Michael Bayley about the prospects of Royal Caribbean returning to California and offering cruises regularly from Los Angeles. "We always are evaluating the deployment into California, whether it is San Francisco, Los Angeles, etc. We know that two of our competing brands are putting ships into California in the next year or so, it will be interesting to see how they do. From a business perspective, we still can't quite figure out how to make the best sense from a business perspective, so we keep looking at it. I can't say it's not gonna happen, I'm pretty sure it's going to happen. The question is, when. For sure in the next five to ten years there will be a ship in California." When asked about changes to the Crown and Anchor Society tiers, Michael Bayley reittered his belief that Royal Caribbean's customer loyalty program is the best in the industry. Moreover, he indicated they are not looking to add a new tier into the program. 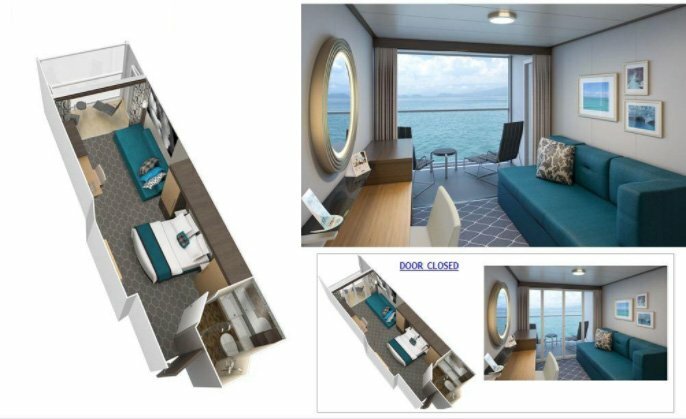 Bayley also mentioned they are looking at what they can do to improve the loyalty programs among Royal Caribbean International's sister brands, which would allow you to sail on any sister brand with the same status as you have earned on Royal Caribbean International. Royal Caribbean's Chief Marketing Officer Jim Berra touched on the news of an Oasis Class ship coming to Galveston. "It's being worked on by government and local officials in Galveston, but to Michael's point, it is our intention, but we need a few more things to go our way in terms of funding and approvals. We'd love to have an Oasis Class ship in Galveston." Royal Caribbean announced its new President and CEO today, Michael Bayley, to be the head of Royal Caribbean International. Bayley's appointment is effective immediately. Bayley was previously the CEO of sister company Celebrity Cruises. Prior to his time at the head of Celebrity, Bayley served in several senior roles at Royal Caribbean International, including Executive Vice President of Operations. He is credited for playing a key role in the company’s international expansion, helping launch company operations in markets around the world. 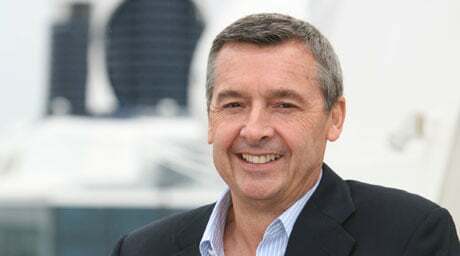 Bayley replaces Adam Goldstein, who was promoted to Royal Caribbean Ltd Chief Operating Officer back in April of 2014. Bayley commented on his new position, "Royal Caribbean International is a brand with an incredible history – and unlimited potential. The ships, personified in the new Quantum class, are some of the best and most innovative in the world. And the crews that service Royal Caribbean International guests have a track record of delighting guests from every culture around the world. I look forward to an exciting future as we raise our game to an even higher level of performance."